Place your vote at the bottom! Wakeso ‘BJ’ Peterson – BJ lead his team to finish second in the city this season and to becoming NWOHSS League Division II Champions for the first time in Scott’s history. 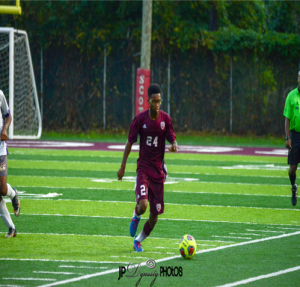 He was awarded player of the year by the Northwest Ohio High School Soccer league (NWOHSS) and came in second for player of the year for the Toledo City League. In addition to his prowess on the field, BJ leads his Junior Class in GPA, having over a 4.0, and is well on his way to becoming his class’ Valedictorian. Represented the junior class on Homecoming court, and played in the marching band. Please Vote for BJ to make him the Fall Athlete of the Year. 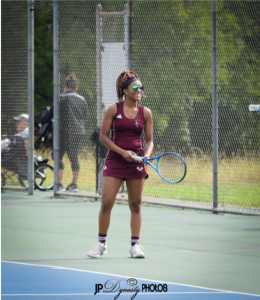 Coach Clark says that Desi is the “heart and soul of the Scott HS tennis program and the best player I’ve ever coached.” She recently finished second overall at the Toledo City League Tournament and earned first team All-City honors. Over her 4 years on the squad Desi recorded more wins than any player in Scott history. The highlight of Desi’s career was when she captained Scott to our first ever City League championship in 2017. She is not only a killer on the court but a monster in the classroom. Despite taking some of the most rigorous honors and AP courses that TPS has to offer, Desi has earned a 3.8 cumulative GPA. 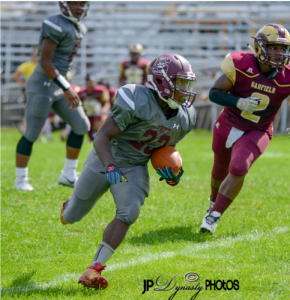 Perrion Jones is a 4 year Varsity letter football player who was voted 1st Team All City as a running back. He led the league in rushing yards and is one of the most elusive backs in the state. He helped the Bulldogs this year reach a winning record of 6-4. 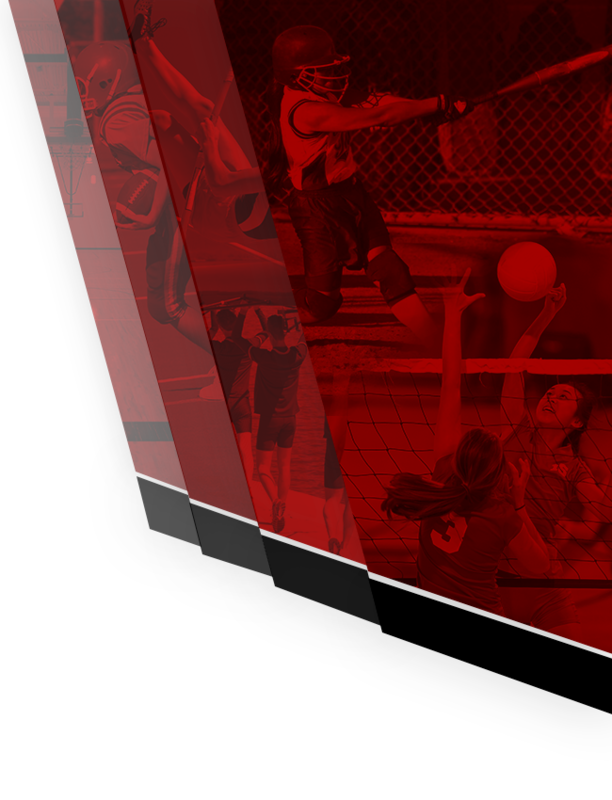 Vote for Perrion Jones for Fall Athlete of the Year! My fall athlete of the year nomination would be Ny’Lasia Patterson. 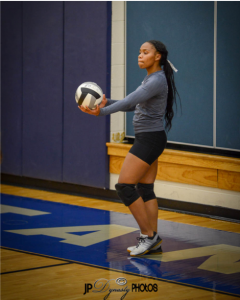 Ny’Lasia played her first season of volleyball this year and picked up the sport very quickly, earning her playing time on the varsity squad as well. To say Ny’Lasia was coachable would kind of be an understatement. She demonstrated what all coaches want in a player…The desire to do better and the dedication to not give up until she got it right. She never gave attitude and tried her best all the time. 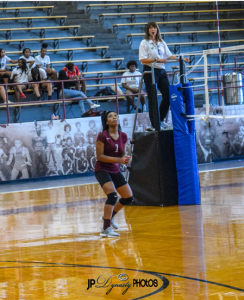 Ny’Lasia is the type of player a coach desires to have on her team! Vote for Ms. Patterson! She received 2nd team honors her junior year and received 1st team honors this season as a senior. She is a pleasant, silly, funny young lady who I expect to see great things from. I’m looking forward to seeing where this life takes her. 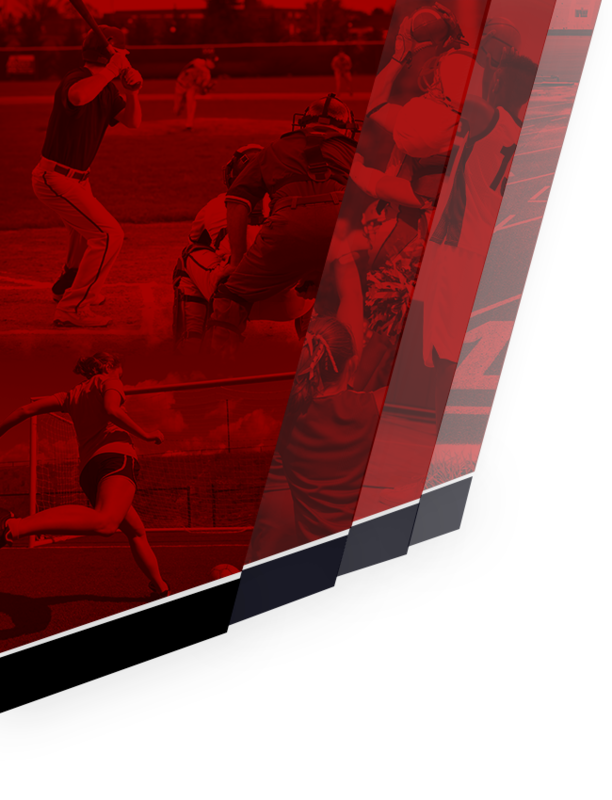 So let’s take her to the top and vote her Fall Athlete of the Year.